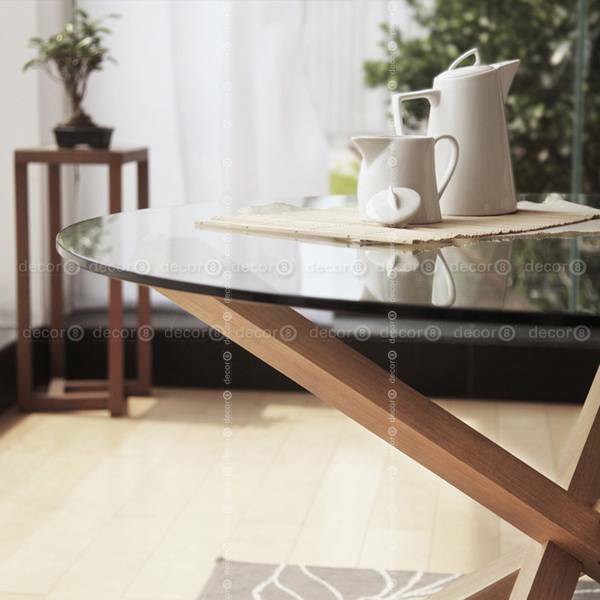 The Decor8 Clinton Round Glass Dining Table with Solid Wood Base is a contemporary dining table that is simple but very stylish. 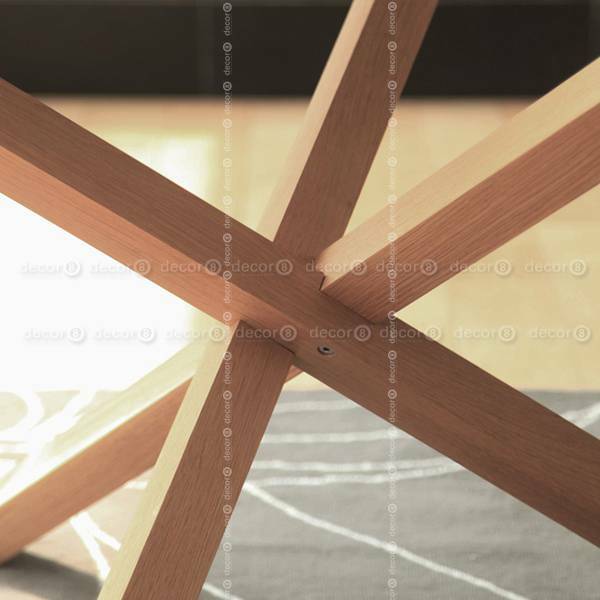 The legs are made of solid beech wood, and are interlocked to create a sturdy base that holds a round tempered glass top. 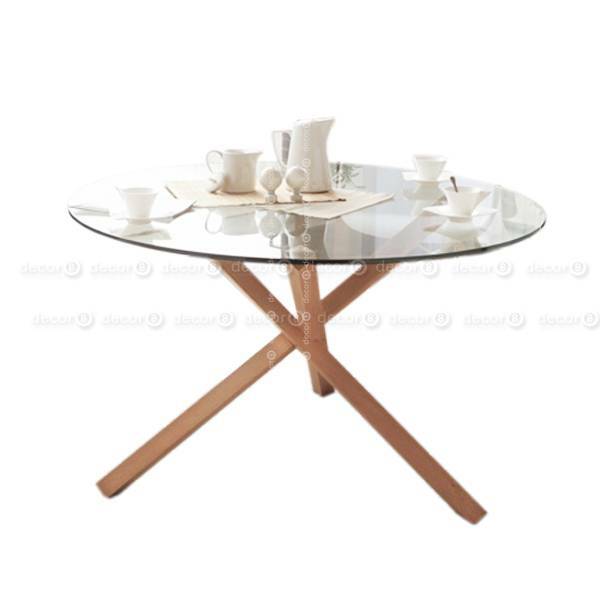 The 120cm diameter table provides ample seating for 5-6 guests.